In preparation of our CCNA exam, we want to make sure we cover the various concepts that we could see on our Cisco CCNA exam. So to assist you, below we will discuss Cisco Router Memory. This can be a confusing topic for many Cisco CCNA beginners. We have a few different types of memory in our Cisco routers. So where do we start? Let’s start off explaining what each type of memory does on your Cisco router as this will definitely be covered on your Cisco CCNA exam. DRAM – Dynamic Random Access Memory. This is very similar to RAM in your personal computer. Anything that is stored in DRAM on your Cisco router will be lost when you power your Cisco router off. This memory is divided into two sections. The first is the Main Processor area. In this area you will store the router’s running configuration, your routing tables and any ARP tables. The second location is your Shared Input/Output Memory area. In this area you will store your data packets that are being routed through your router. If the router is fast enough from a CPU perspective, the data packets will fly right through. But at times your router will be overwhelmed with data packets and thus need to buffer them in this memory area. Finally, this memory can be easily popped out of the router and upgraded to a larger size by either putting in a larger DRAM stick or putting in additional DRAM sticks if the router has additional DRAM slots. Flash – This memory simm is EPROM. EPROM stands for erasable programmable read only memory. So what does that mean to you? Well, the information that is stored in this simm on your Cisco router is not lost when you power the router off. This is where you will store your router’s IOS. You can “flash” the simm and download a different version of the IOS to this simm. This is very similar to what you do to your personal computer’s BIOS when you receive a BIOS upgrade from the computer manufacturer. The only difference is the IOS is the “operating system” for your Cisco router. Different versions of the IOS will support different features on your router. For example, the standard IP version IOS only supports the IP protocol. Whereas the Enterprise version IOS will support additional protocols such as AppleTalk and IPX. Finally, this memory can be easily popped our of the router and upgraded to a larger size by either putting a larger flash simm in the router or adding additional simms if the router has multiple flash simm slots. NVRAM – This is non-volatile random access memory. Which means you will not lose what is stored in it when you turn the router off. This is generally a very small memory space such as 32KB on the Cisco 2500 series routers compared to the MBs that are used for DRAM and flash. Anyway, this is where you will store the routers configuration file. Whether you use the prompt based setup menu to configure your router or you use the CLI(command line interface) at the end of either you will want to save your configuration to the router. Keep in mind as noted above, the configuration is also stored in DRAM. But that is the running-config. That is lost when you power the router off. So again, when you finish configuring the router, you will want to save it to the startup-config which in turn saves it to nvram. This way when you turn the router off, you don’t have to reconfigure the router every time. **Tip** If your router will not save the configuration that you keep inputting over and over again, check the configuration-register setting(you can see this when the router boots up or by using the show ver command. If it is 0x2142, it will ignore the startup config. Set the config-register back to 0x2102 and you will be good to go. This is a common error beginners run into causing them to pull their hair out! POST – Power On Self Test. Just like your personal computer that does a POST to make sure all the components are working, so does your router. It is here it checks the CPU, the amount of DRAM and flash installed, and all the interfaces. So any modules you may have installed will be checked also at this time. Bootstrap – The bootstrap program initializes the CPU and starts the boot process of the router by locating and loading the IOS. RxBoot – This is a mini-IOS. This is used when your IOS is corrupt or your flash simm is blank and needs to have a version of IOS installed. This mini-IOS loads and gives you limited functionality so you can load a new version of IOS on your flash simm. ROM Monitor – This is a mode that is used for diagnostics or loading and IOS image over a console session. If you have a problem with the router and you want to get into this diagnostic mode, you can issue a ctrl-break which will drop you into rommon mode. Again, you want to review and make sure you understand all of these different types of memory which are in your Cisco router as they will definitely be covered on your Cisco CCNA exam. There is no better way that really understanding the different types of memory than opening up a real router. 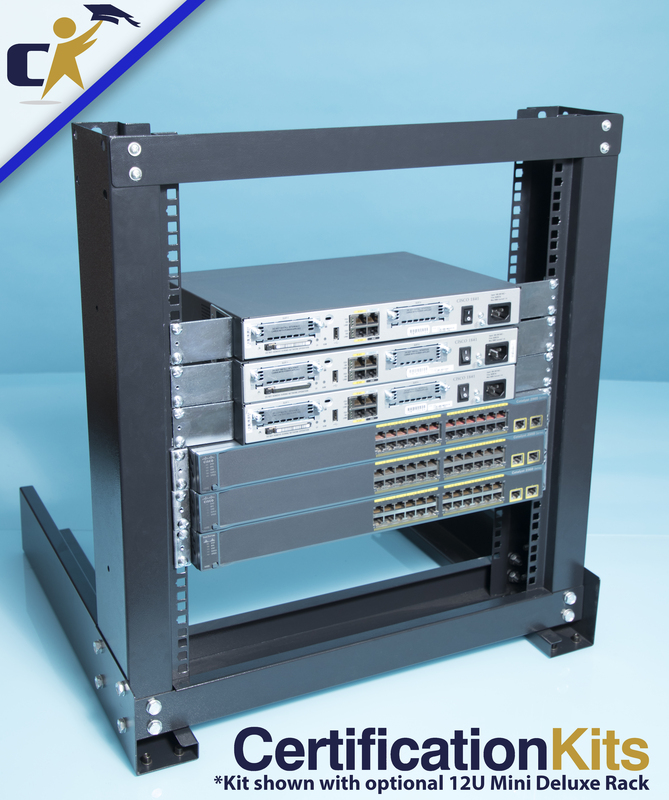 Real hands-on experience goes a long way in your Cisco CCNA exam preparation!